This little stained glass prism box is a great way to display your beautiful crystal sphere collection. The box is made with 1” square beveled glass and has an open top. 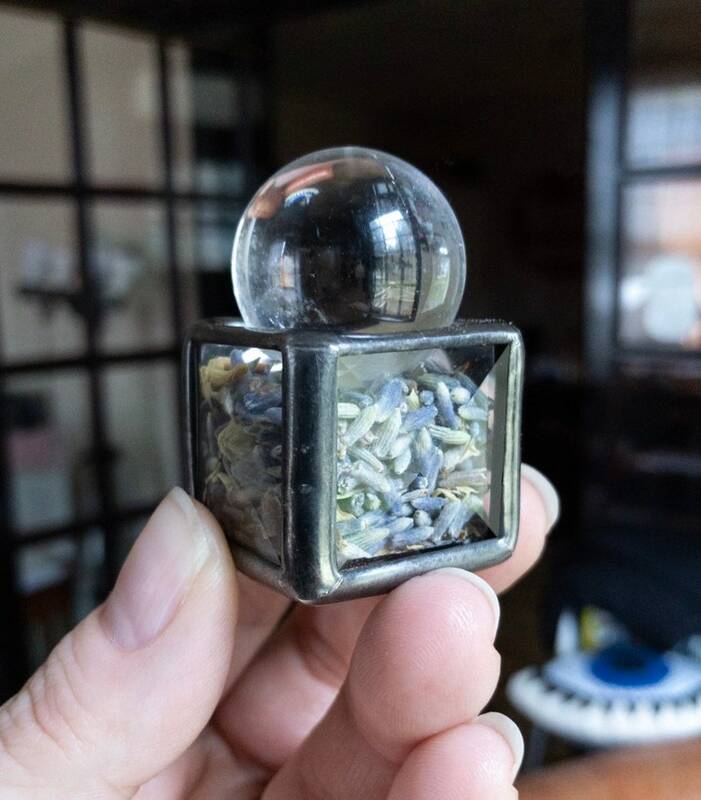 You can add lovely herbs (lavender shown) or chip gemstones to it and then place your crystal sphere on top or just leave it empty to have the bevels cast rainbows on the walls in the sun. A 1" sphere is shown in the photos (not included). Box measures 1" square. Listing is for bevel glass box only and does not include the crystal sphere or air plant. I would recommend this be used for your smaller spheres 2" in diameter or smaller. Actual opening of box is 0.75" square. Rustic Decor. Air Planter. 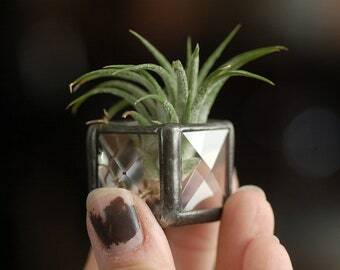 Air Plant Wall Holder. Stained Glass Arrow. Glass Shelf. Jewelry Storage. Geometric Planter. Air Planter Shelf. 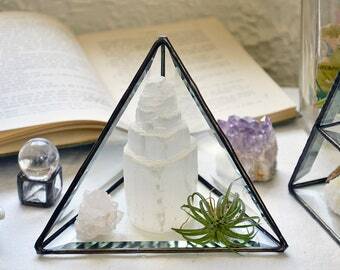 Faceted Glass Pyramid. Crystal Display Pyramid. Pyramid Cloche. Terrarium Pyramid. Glass Plant Holder. Small 3" Pyramid. Crystal Charging. Exactly what I expected! Awesome!! Real Butterfly Wing Necklace. 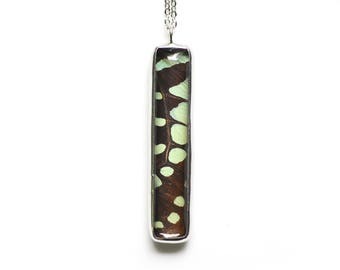 Long Glass Boho Pendant. Real Butterfly Wing Necklace. Graphium Antheus Butterfly Pendant. 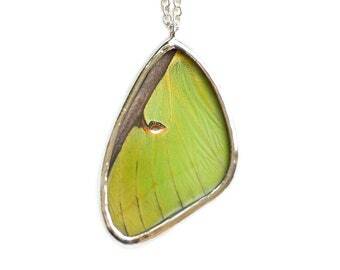 Real Luna Moth Wing Necklace. Insect jewelry. Real Butterfly Wing Necklace. Woodland Sprite Jewelry. Nature Jewelry. Preserved Moth Wing.